To and from any location. You will always find an available driver to take you where you want to go. Let it be a special event, an Airport Transfer, a Car Service to the Outlets, a Business trip, a Photo Tour or a Night out in the town. Your Chauffeur service in Rome. Modern cars and Mini vans. Tailored to your need depending on the number of travelers and luggage. Custom made travelling at your fingertips. From the Civitavecchia port to the roman city center and onward throughout Italy. Easy online pre payment option via PayPal or by credit card. Point of Sale POS payment option directly to the chauffeur car driver. All major credit cards accepted. Our car drivers are provided with a special city pass. They are allowed to enter the metropolitan area using the preferential traffic lanes. This will enable you to save time and efficiently get to where you need to go. Without incurring in traffic delays. Easy door to door limousine service. Simple pickup and drop off. No walking or lifting heavy luggage. The driver will facilitate your transfer with particular care for the elderly and the disabled. Especially when transferring out the Fiumicino airport. Courteous and with an in-depth knowledge of the city of Roma and the surroundings. Flexible and adaptable Rome in limo service custom made to your needs. With friendly English speaking drivers. We reach far and wide cities and locations through the best Italy can offer. From our unique Heritage Italy Tour to the enchanting city of Venice to Pompei and the Amalfi Coast and Sorrento. Passing by Florence in beautiful Tuscany. To reach the Eternal city of Rome. Where our Italy Tours begin. Out to Tivoli and the Castelli Romani for a wine tour. Or our Civitavecchia Tours straight out of the Cruise ship. WheretoRome. Your personal private driver Italy for the best sightseeing and cultural experience. Drop us a line with your inquiry or information request. We’d love to help out with fast turn around times. Full online line booking support and real time availability. Contact us below and we will quickly get back to you with all the information. all credit cards available trough the PayPal payment system. 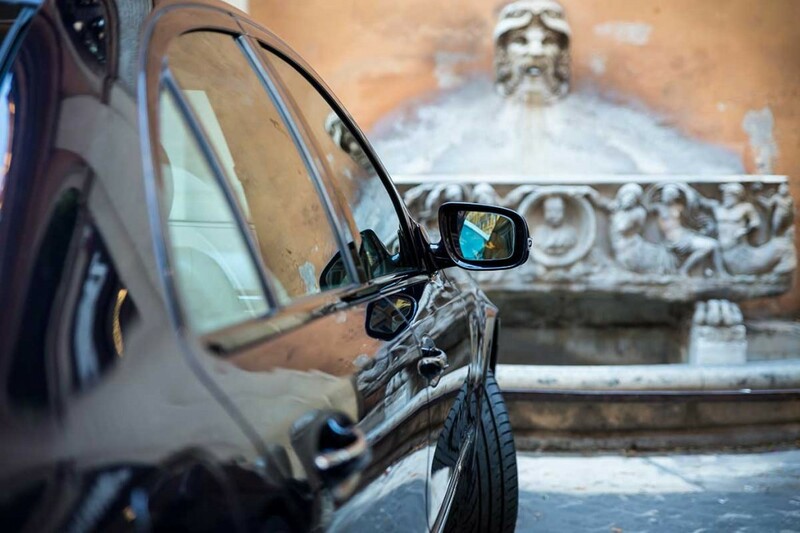 You will also be able to pay for your Rome chauffeured service directly in your vehicle. Offering the best available prices for hiring a car and driver in Italy. With Transfers in Rome, Civitavecchia or throughout Italy.